Spermatogenesis is the production of sperm cells from germ cells (primary spermocytes). 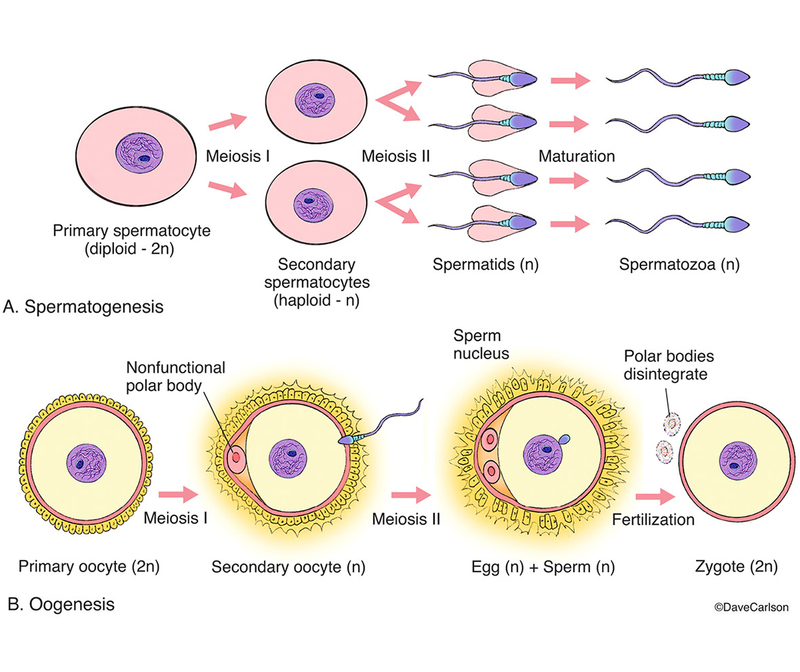 Oogenesis is the combining of sperm and egg cells to create a fertilized egg (zygote). Image © copyright by Dave Carlson.